Many students dream of spending their college years far from home — learning, living, and growing on their own for the first time. Unfortunately, that experience comes at a price. According to the College Board, on average, public universities charge more than double for out-of-state tuition than in-state tuition. Some students may qualify for in-state tuition at an out-of-state school. Through reciprocity agreements, certain colleges may offer in-state tuition to certain students, generally those hailing from a nearby state. Often, universities belonging to a regional consortium, such as the Western Interstate Commission for Higher Education, make these agreements. Additionally, a number of schools offer low out-of-state tuition. Whether they’re trying to increase enrollment or cater to students from different parts of the country, the relatively low tuition available at the schools on our list attracts students from all over the country. Ultimately, the axiom that in-state schools are more affordable than out-of-state colleges represents more of a guideline than a rule. The following 50 schools provide students with an opportunity to receive a quality education far from home at an in-state price. Opened in 1860 as the Seminary of Learning of the State of Louisiana, Louisiana State University is the state's flagship school and has since become a major research institution. At any given time, more than 1,000 research projects occur at LSU, such as materials science, high-performance computing, or biotechnology. LSU's Middleton and Hill Memorial Libraries contain over 4 million volumes and provide students and researchers with access to expert staff, technology, and other resources. The university also boasts seven museums and galleries and four performing arts centers, with the school of theatre ranking second among public universities in the entire country. More than 31,000 LSU students can choose from 235 undergraduate areas of study, 73 master's programs, 49 doctoral programs, and more than 15 graduate certificates. The university also maintains four professional schools and offers diverse online coursework. On-campus students receive housing, dining, and recreational options. Housing includes the Agricultural Residential College where students can live and study in one location. Although based in Baton Rouge, LSU offers campuses and other centers throughout the state, providing learning and research opportunities within various communities. LSU awards $300 million in scholarships and other financial aid each year, with 92% of students receiving some kind of aid, resulting in two out of three students graduating with no student loan debt. LSU also allows learners to transfer credits from other institutions, take courses while still enrolled elsewhere, and receive special rates for military personnel and veterans. Based in Gainesville, the University of Florida is well known for its athletics and leading role in sustainability and environmental sciences. UF's on-campus laundry initiative alone managed to save 7 million gallons of water as of 2015, while 34 academic departments within the university offer at least one course in sustainability. By teaming up with local and organic vendors to source campus food, UF is on the way to becoming carbon neutral by 2025. UF offers 100 undergraduate majors, 200 graduate programs, and 30 certificates. The Innovation Academy uses a spring-summer schedule to bring together 30 majors focused on developing new ideas and new business opportunities. Combined degree options allow students pursuing a bachelor's degree to begin taking some graduate courses early, which can save a considerable amount of time and money in the long run. Students can access academic tutoring and advising, credit transfer options, honors and scholars programs, and fellowship opportunities to help them make the most of their time at the UF. The university maintains generous financial aid programs, which allows 56% of their students to not only begin their education there, but also graduate without student loan debt. More than 80% of UF students receive some sort of financial aid. Students can live on campus alongside 8,600 other students within 26 resident halls, 15 Living Learning Communities, and six graduate communities. The university's housing department remains the first such department in the U.S. to be green-certified. A public research university founded in 1885, Michigan Tech is located in the state's Upper Peninsula close to Lake Superior, the largest freshwater lake by surface area in the world. Originally founded as the Michigan Mining School to help train local copper miners, the school opened with four professors and 23 students. Today, the 925-acre campus hosts over 7,000 students and 21 research centers. While the Department of Geological and Mining Engineering and Science remains, the school now has 20 departments in seven schools and colleges, offering both undergraduate and graduate programs. MTU boasts a 92% job placement rate for undergraduates, with those graduates placing in the top 10% for early career salary in the nation. More than 400 companies participate in university career fairs, with the fall career fair standing as the second largest in the country. Undergraduates can also participate in research on a variety of subjects, with the university paying for 126,000 hours of undergraduate research each year. Although most of the university's students live in state, MTU makes a great choice for out-of-state college students. In addition to the many unique research opportunities at MTU, 90% of students receive financial aid, with unique scholarship opportunities for nonresident students and international students. MTU offers housing opportunities that include residence halls, theme communities for students in specific majors, apartments, and houses. Houghton, MTU's home base, remains somewhat isolated, as are many communities in Michigan's Upper Peninsula. While the distance makes commuting difficult, MTU students maintain a strong sense of community. Arizona State University boasts a reputation for excellence, with numerous awards and high rankings for research and teaching. For example, ASU ranks as the number one choice for international students studying at a public university in the U.S., with 13,400 international students among its nearly 80,000 enrolled. Learners enjoy several top-ten arts programs, a top-ranked law school, and one of the most sustainable campuses in the world. ASU started out as the Territorial Normal School, founded in Tempe in 1886 with 33 students in one building. Founded almost 30 years before Arizona became a state, ASU now boasts five campuses in the Phoenix metro area and has graduated over half a million students. The original building, Old Main, became the first in Tempe to get electricity in 1898. The Territorial Normal School teaches agriculture and the mechanical arts, including training teachers for territory children. ASU also houses the Mary Lou Fulton Teachers College, the Ira A. Fulton Schools of Engineering, the first residential honors college in the country, and the Institute of Human Origins. These 17 colleges and schools and dozens of centers and institutions offer more than 350 undergraduate programs and over 400 graduate programs. ASU offers financial aid options to help students cover the cost of attendance, including work-study, merit-based aid, and scholarships. Around 84% of undergraduates receive some kind of financial aid. Originally founded as a private college in 1961, New College of Florida is now a public institution and the official "honors college for the liberal arts" as defined by the state legislature. The New College takes this distinction seriously, with the average incoming freshmen holding a 4.0 high school GPA. New College boasts a 10-to-1 student-to-faculty ratio and an average class size of 17 due to the very small student body of only 809 undergraduates and 29 graduate students, as of fall 2018. Beyond the MS in Data Science, the focus rests on undergraduate studies. Instead of following prescribed course listings, New College students work with their faculty advisors to design "contracts," each of which include between three and five academic activities, such as coursework, internships, or independent studies learners must finish in order to graduate. All students complete a senior thesis, a piece of substantial work within their field of study, a project generally reserved for graduate students at other colleges. This atypical program design allows students to tailor their education to their specific goals, resulting in about 80% of graduates going on to graduate school within six years. Out of the students who graduated in 2010, 86% who applied to a Ph.D. program and 100% who applied to law school gained acceptance. Founded in 1785, the University of Georgia became the nation's first public university and a leader in vaccine research. Located in Athens, Georgia, UGA houses the Centers for Disease Control and Prevention (CDC). With 17 colleges and schools, UGA enrolls 37,000 students at five Georgia campuses and hosts campuses in District of Columbia, Costa Rica, England, and Italy, while also maintaining relationships with institutions in 50 countries around the world. UGA offers 25 bachelor's degrees in 143 fields, 30 master's degrees in 130 majors, and four doctoral degrees in 98 fields. UGA's professional degrees include law, veterinary medicine, and pharmacy; specialist education degrees in 10 areas of concentration; and more than 170 exchange and study abroad programs. The State Botanical Garden, Museum of Art, Museum of Natural History, Georgia Writers Hall of Fame, and the Peabody Awards all call UGA home. The university libraries hold 5.2 million volumes and multiple special collections, including the Hargett Rare Book and Manuscript Library. UGA is dedicated to giving back to the community and maintains dozens of community outreach projects in the Athens-Clarke county area. These include the Center for Food Safety, the Athens Peer Court, and the Wilbanks Child Endangerment and Sexual Exploitation Clinic. Many of these projects tie into research done at the university. UGA develops more new products than any other university in the U.S. and spent over $455 million on research in 2017. Undergraduates, graduates, and faculty perform research in areas like sustainability, opioid addiction, and cyber security. Originally founded in 1856 as the Maryland Agricultural College, the University of Maryland became a public university in the 20th century and expanded after World War II. From humble beginnings with 34 students and a campus carved out of a local plantation, UMD now stands as the state's flagship school, with 41,000 students and 14,000 faculty and staff. Today, UMD makes up one of the leading research universities in the country. UMD embraces philanthropy and social change, turning itself into the first Do Good campus in the nation. The Do Good Institution, a product of the School of Public Policy and the Center for Philanthropy and Nonprofit Leadership, boasts a campuswide initiative to encourage UMD students to consider their education within the context of philanthropy, social change, and the nonprofit field. UMD sees education as a practical experience and urges students to think about how their education can improve the lives of people in their communities and at a global level. Students receive encouragement through the Do Good Accelerator, a shared space in which students can receive leadership coaching and other training opportunities in order to better put their ideas to work. The Do Good Challenge further pushes students to develop ideas that change the world while competing to bring ideas to life. UMD offers 92 undergraduate majors, 107 master's programs, and 83 doctoral programs over 12 schools and colleges. Students come from all 50 states and 118 countries. UMD maintains 447 study abroad programs, all of which help students think within a diverse, global context. St. Mary's College of Maryland, a public and non-religious college, stands as the state's public honors college. Named for, and occupying the same land as, the original capital of the colony of Maryland, St. Mary's began in the 1840s. The college has since taken the shape of a women's boarding school, a co-educational junior college, and, since 1967, a four-year college. The school became Maryland's honors college in 1992. St. Mary's remains a small college, enrolling only 1,674 students in the fall of 2017. With a 145 faculty members; however, the college boasts a 10-to-1 student-to-faculty ratio, providing an educational experience akin to small private schools. Despite 90% of the students being Maryland residents, there are students from 23 other states and 10 nations. St. Mary's also boasts 29 study abroad programs, with 47% of all graduates having spent time studying in another country. Students can choose from 24 majors and 27 minors, including a teaching master's degree. Being an honors college, the first designated as such in the nation, St. Mary's holds high standards for its students. It does not accept many new students each year and boasts the highest four-year graduation rate in the state. St. Mary's also gives generously, with $6 million in financial aid being awarded each year. First year students alone receive more than $1.5 million in aid between them, and 52% of all students receive some form of merit-based scholarship. SUNY College of Environmental Science and Forestry focuses on the sciences, particularly as they relate to the physical world and how we make use of it. With over 26 undergraduate majors and 48 graduate areas of study to choose from, ESF students can explore a variety of topics, such as conservation biology, forest health, sustainable energy management, ecosystem restoration, and plant biotechnology. ESF students can access 25,000 acres of field stations across the state of New York and numerous study abroad options. With 1,800 undergraduates and 400 graduate students, ESF students can explore how they want to change the world. ESF is a worthwhile consideration for an out-of-state college, since it undertakes research opportunities every year. Faculty, with the help of both graduate and undergraduate students, explore a variety of subjects, such as biodiversity, aquatic ecosystems, wildlife disease prevention, and remote sensing. Researchers at ESF can access dozens of centers, including the Adirondack Ecological Center, the Center for Native Peoples and the Environment, and the Council for Geospatial Modeling and Analysis. With the college's focus on the environment, it should come as no surprise that ESF is dedicated to sustainability. The certified bike-friendly campus received accolades for making use of biomass to generate energy, ranking as the number two green college by the Princeton Review. ESF also made numerous commitments to further improve their ability to both teach and research while reducing environmental impact. ESF offers courses and programs focused on sustainability, including research centers and outreach programs designed to help make the world a more sustainable, environmentally friendly place. Founded in 1870, City University of New York Hunter College remains one of the oldest public universities in the country. The 23,000 students at Hunter come from diverse backgrounds all around the world. Hunter has welcomed both women and minority students for more than 140 years, well in advance of many other schools in the nation. Half of all students at Hunter work full-time while pursuing their degree, and more than a third of Hunter students become the first in their families to attend college. Hunter consists of six schools, including continuing education offerings, the International English Language Institute, Hunter College High School, and Hunter College Elementary School. Together, these schools maintain 45 departments and offer more than 170 fields of study at the bachelor's, master's, and doctoral levels. Hunter employs over 1,800 full- and part-time faculty from a wide array of fields and with a broad collection of accolades and experience. The college's location in Manhattan gives students, researchers, and faculty access to a wealth of academic and educational resources beyond that offered on campus. Hunter received accolades from the Princeton Review, Forbes Magazine, and the U.S. News and World Report as one of the best Northeastern colleges, best value higher education options, and top public schools. Hunter offers enrollment options for undergraduates and graduate students, transfer students, non-degree seekers, and senior citizen options. More than 75% of Hunter students receive some kind of merit- or need-based aid, with the average grant or scholarship amounting to $7,440. Hunter students receive about $3.5 million in scholarships each year, and 75% of students graduate without student loan debt. Alfred State College of Technology, part of the State University of New York system, is a residential technology school offering a career-focused curriculum enhanced by the liberal arts. Alfred State offers 27 bachelor's degrees and 49 associate degrees in 70 different majors. Associate degree offerings include agricultural business, computer engineering technology, and culinary arts. Bachelor's offerings include architecture, human services management, and nursing. Students can also choose from two certificate programs: court reporting and captioning, or coding and reimbursement. Alfred State also offers continuing education and professional development options. All of these programs are continually updated, with new offerings added to keep up with the changing local, national, and global economies. Alfred State graduates go on to find jobs quickly or continue their education elsewhere, with 71% working, among these 93% of graduates are in their chosen field, and 28% going on to pursue an advanced degree. Considered one of the top regional schools in the nation, Alfred State keeps out-of-state tuition rates affordable. Each year, the college awards $43.5 million in financial aid, with $4.2 million of that aid awarded in the form of merit-based scholarships. Around 89% of Alfred State students receive some kind of financial aid. Founded in 1908, Alfred maintains two campuses in New York; one in Alfred and another in Wellsville. Additionally, the campus maintains a growing farm. More than 3,700 students enroll at Alfred State, which boasts an 18-to-1 student-to-faculty ratio, meaning students gain access to, and can build rapport with, their professors. The college also maintains more than 100 student organizations and 19 NCAA Division III teams. Baruch College, part of the City University of New York system, boasts a student body of over over 18,000 students, coming from more than 170 countries and speaking more than 110 languages. This makes Baruch one of the most diverse colleges in the country. Baruch ranks among the top colleges in the country by Forbes Magazine, the Princeton Review, and U.S. News & World Report, all of which issue regular rankings of higher education in the country. Those recognitions include high rankings in the social mobility of low-income students and the low student debt. With the college's location near Midtown, Wall Street, and numerous global headquarters for cultural and nonprofit organizations and companies, it is clear why Baruch remains a popular choice for an out-of-state college. That proximity to Wall Street also impacts student degrees. Accounting, finance, and marketing stand among the most popular majors, and 73% of undergraduates enroll in courses of study within the Zicklin School of Business. Baruch contains two other schools: the Weissman School of Arts and Sciences, and Marxe School of Public and International Affairs. These schools offer 29 undergraduate majors, 56 minors, 54 graduate-level specializations, and six doctoral specializations. In addition to holding accreditation from the Middle States Commission on Higher Education (MSCHE), Baruch also holds several programmatic accreditations. The Association to Advance Collegiate Schools of Business (AACSB) accredited multiple programs within the Zicklin School of Business, while the Commission on Accreditation of Healthcare Management Education (CAHME) accredited the business and healthcare administration programs. In addition, the Commission on Peer Review and Accreditation of NASPAA accredited the master's of public administration. Queens College, founded in 1937, resides in the most ethnically diverse county in the U.S., the Flushing area of the Queens borough. Diversity reflects among the 19,000 students at the college who speak 110 different languages and come from 170 countries. Roughly half the students at QC were born in another country. All of this makes QC a good out-of-state college for expanding student's exposure to different cultures and ways of thinking. With a focus on liberal arts and sciences, faculty help guide students toward a broader view of the world with a focus on critical thinking and analytical ability. Academics comprise four divisions: arts and humanities, mathematics and the natural sciences, social sciences, and education. Departments within these schools include media studies, neuroscience, and risk management. Queens offers bachelor's, master's, and doctoral degrees in addition to professional education and certificates. QC also includes 11 centers and institutes, including the center for Jewish Studies, the Michael Harrington Center for Democratic Values and Social Change, and the Queens College Center for Ethnic, Racial and Religious Understanding. The 80-acre campus of Queens College made the Princeton Review's Guide to 322 Green Colleges. The Summit residence hall houses 500 students, while many other learners live in the surrounding area. At QC, 61% of students receive some kind of need-based financial aid. The campus houses over 100 student organizations and more than two dozen student services, including the Center for Career Engagement and Internships, veteran's services, and immigration services. Founded in 1911 as one of three teacher prep schools in the state, the Murfreesboro-based Middle Tennessee State University offers more than 300 academic programs to both undergraduate and graduate students. The campus grew to over 1,000 acres, with the main campus occupying half of that space and the agricultural campus, the Miller Horse Science Center, and an aerospace facility at the Murfreesboro Airport occupying the rest. MTSU evolved from a campus of 19 faculty and 125 students to 900 faculty, 22,000 students, and an alumni community of over 100,000. MTSU founded the first Honors College in the state in 1989. A Carnegie Research Doctoral University, MTSU produces some of the best graduates in the state, including the most adult and low-income students in Tennessee. MTSU ranks as one of the top military-friendly universities in the country, housing the first VetSuccess on Campus program in the state and the Charlie and Hazel Daniels Veterans and Military Family Center. MTSU consists of the College of Basic and Applied Sciences, College of Behavioral and Health Sciences, Jennings A. Jones College of Business, College of Education, College of Liberal Arts, College of Media and Entertainment, University College, and the University Honors College. MTSU also boasts 19 centers and institutes, including the Forensic Institute for Research and Education, Confucius Institute, and the Center for Popular Music. MTSU holds accreditation from the Commission on Colleges of the Southern Association of College and Schools Commission on Colleges (SACS). The school also holds numerous other accreditations from organizations like the American Association of Collegiate Registrars and Admissions Officers (AACRAO), Council on Social Work Education (CSWE), and the Sun Belt Conference. The University of Minnesota-Morris is a public liberal arts college founded in 1960. With a student body of about 1,700, and a 13-to-1 student-to-faculty ratio, every student can interact directly with their professors, participate in over 120 student organizations, and take advantage of study abroad programs in 80 countries. Morris offers 35 majors and minors, including Native American and Indigenous studies, Anishinaabe language instruction, medieval studies, environmental studies, and environmental science. The school's relatively small size means that 57% of undergraduates get to participate in research or creative production while attending school. 74% of Morris students come from Minnesota and 30% of students are Native American or students of color. At the average university, Native American students make up only about 1-2% of the student population. At Morris, 18% of the student body is Native American, making it the only upper Midwest four-year college that qualifies as a Native American Serving Non-Tribal Institution. More than 65 federally recognized Native American tribes, Alaskan Native villages, and Canadian First Nations peoples are represented at Morris, with about half of the more than 300 Native American students being of Ojibwe descent and a quarter are of Dakota or Lakota descent. Because of this population, Morris houses several programs and organizations that promote the needs and success of Native American students, such as the Circle of Nations Indigenous Association and the American Indian Science and Engineering Society. One of only two universities with a mandate to provide tuition-free education to Native American students, Morris ranks as one of the top 200 institutions for Native Americans by Winds of Change. A land-grant college which first opened its doors in 1867, the University of Massachusetts-Amherst saw enrollment numbers balloon following the end of World War II. As the flagship school within the state's university system, UMass Amherst offers 109 undergraduate majors, 77 master's fields, and 48 doctoral programs. UMass Amherst has also become a leading research institution within the U.S., spending more than $200 million on new research each year. As of the fall of 2018, the university enrolled 30,593 students and employed 1,300 full-time faculty members. The library system, the largest at a state institution, contains over 7 million items, catering to students from 71 countries and all 50 states. UMass Amherst is dedicated to both diversity and sustainability. Among the first campuses in the country to open centers for either women or LGBTQ students, UMass offers more than 100 diversity-related courses, ranking as one of the most LGBTQ friendly colleges by Campus Pride. In addition, both the Association for the Advancement of Sustainability in Higher Education and the Princeton Review ranked the university among the most dedicated to sustainability. UMass houses the largest campus solar project in the state and maintains multiple programs to promote recycling, sustainable architecture, and eco-friendly student life. UMass hosts a variety of colleges, including education, humanities and fine arts, natural sciences, and the Isenberg School of Management. Departments include Afro-American studies; civil and environmental engineering; Judaic and Near Eastern studies; and women, gender, and sexuality studies. UMass offers online and traditional courses, summer and winter sessions, and a variety of scholarship options. The Office of Student Affairs and Campus Life maintains multiple programs that cover inclusion, housing, health, and engagement, which are designed to help students succeed at UMass and beyond. Brooklyn College, part of the City University of New York system, became New York's first public, coeducational liberal arts college. Opened in 1930, Brooklyn College joined CUNY in 1961, just as it started to become a place of protest during the Vietnam War. Today, Brooklyn College offers 83 undergraduate programs, 73 graduate programs, and 19 certificates. Five schools make up Brooklyn College: the Murray Koppelman School of Business; the school of education; school of humanities and social sciences; school of natural and behavioral sciences; and the school of visual, media, and performing arts. In the fall of 2018, Brooklyn College had enrolled 18,151 students, with the school of natural and behavioral sciences enrolling the most learners. Psychology and computer sciences ranked as the top undergraduate majors, while early child education and special education maintained the most popular graduate programs. Brooklyn College boasts a diverse student body, with students from 139 countries speaking 103 different languages, reflecting the diverse nature of New York City. Nestled within New York, Brooklyn College's campus comprises 13 buildings and sits on only 35 acres. This relatively small campus hosts nearly 1,500 faculty members and supports a variety of labs and other facilities. Brooklyn holds accreditation from the Middle States Commission on Higher Education (MSCHE), National Council for Accreditation of Teacher Education (NCATE), American Chemical Society (ACS), and the Council on Academic Accreditation in Audiology and Speech Language Pathology (CAA). Known for its innovative teaching and ground-breaking research, the University of North Carolina at Chapel Hill offers 77 bachelor's programs, 111 master's programs, and 65 doctoral degrees through the College of Arts and Sciences and its professional schools. Tuition and fees at UNC amount to $34,938 per academic year for out-of-state students, with the total cost of attendance (including housing, meals, travel expenses, and books) reaching $50,634. The university boasts a variety of academic departments, offering programs in disciplines such as anthropology, communication, English and comparative literature, chemistry, and health policy and management. The university also features a growing selection of online undergraduate and graduate programs for students who desire more flexibility for their education. UNC offers nine master's programs, two doctoral programs, and eight certificates to online students. UNC boasts an academic advising program to assist undergraduate students in the General College and the College of Arts and Sciences with their academic decision-making and planning processes. Services include helping students declare their major and select the right courses, as well as ensuring they remain on-track to obtain their degrees. Each UNC student receives an assigned adviser, but learners can work with other advisers to meet their needs, as well. UNC provides students with full access to the Center for Student Success and Academic Counseling (CSSAC). CASSAC allows UNC students to develop their strategies and skills to succeed academically, offering programs including student academic counseling, the Learning Center, the Writing Center, Men of Color Engagement, summer bridge, pre-graduate school advising, and pre-health advising. Known as one of the premier library systems in the South, UNC's system features the Davis Library, House Undergraduate Library, Wilson Special Collections Library, and Health Sciences Library, as well as multiple specialized libraries open to the public. The university's libraries website provides students with access to academic resources such as eBooks, citation guides, eJournals, and online assistance. Home to more than 51,000 students and 3,000 faculty members, the University of Texas at Austin ranks among the best and biggest research universities in the country. UT Austin charges out-of-state students between $18,000 and $21,000 in tuition and fees per semester in fall and spring, and between $10,000 and $11,200 for the summer semester. The university boasts nearly 500,000 alumni, including industry leaders Rex Tillerson and Michael Dell, actors Matthew McConaughey and Marcia Gay Harden, and journalist Walter Cronkite. The university encourages and cultivates networking opportunities, fostering relationships between alumni to ensure they remain connected long after graduation. The flagship school of the University of Texas System, which includes six health institutions and nine academic universities statewide, the University of Texas at Austin provides graduates with an exceptional return on investment. The university works to drive social and economic progress while serving the city, state, and nation as one of the top centers for creativity and knowledge. Known as the top public university in Texas, the university offers more than 170 areas of study between 18 colleges and schools. The University of Texas at Austin was founded in 1883 and features a diverse student body. The university registers 40,804 undergraduate students and 11,082 graduate students, representing all 50 states and 124 different countries. Of UT Austin's students, 10.6% live out of state, and 10.1% live outside the country. Additionally, the university reports 41.1% of students as white, 20.9% as Hispanic, 19% as Asian, and 4% as black. Students can choose from 156 undergraduate programs and 139 graduate programs, and the university offers 400 study abroad programs to 78 different countries. The main campus sprawls 431 acres, featuring 17 libraries, four museums, and 15 career centers. Students can also take advantage of more than 1,300 student organizations. SUNY College at Plattsburgh was founded as a teaching college in 1889 and garners a strong history of meeting both regional and statewide higher education needs. It charges its out-of-state undergraduate students $8,325 per semester. Including fees, housing, and meals, nonresident students' total cost of attendance for fall and spring semesters equals $31,319. The college functions as a major driver for its community's cultural and economic wellbeing. IT also features accreditation from the Middle States Commission on Higher Education, and authorization from the Board of Regents of the University of the State of New York. SUNY Plattsburgh aims to help students discover and develop their full potential, ensuring learners experience diverse cultures and perspectives. The institution challenges students to think, learn, and excel through close interactions with dedicated faculty and staff. The SUNY College at Plattsburgh campus sits on the shores of Lake Champlain, between the Adirondack mountains of New York and the Green Mountains of Vermont. Montreal is only an hour away from the school. Students can choose from more than 70 majors at Plattsburgh, each of which aims to equip students to succeed in their prospective careers. All programs at the college feature internship opportunities or other hands-on learning experiences. Students at Plattsburgh enjoy a variety of financial aid opportunities. Half of the college's freshmen earn scholarships. Freshman scholarship applicants must demonstrate a strong high school GPA, and submit an essay, SAT or ACT scores, and one letter of recommendation. Plattsburgh also features several online master's programs, plus 25 graduate assistantships. Graduate applicants can register to take their GRE year-round at Plattsburgh, and the campus even boasts a daycare for students who have children. The childcare center offers full-time and part-time options, and stays open year round. A tribal college located on the Standing Rock Reservation in North Dakota and two sites in South Dakota, Sitting Bull College prides itself on the Lakota/Dakota culture, values, and language. In-state and out-of-state residents pay the same tuition rates at Sitting Bull, which amount to about $1,800 per semester. The colleges build intellectual capital through career, academic, and technical education, promoting social and economic development. The Standing Rock Indian Reservation boasts a unique location in the southern region of North Dakota and South Dakota's northern area. The land covers about 2.3 million acres, with 850,000 acres under the protection of federal and tribal jurisdiction. Primary uses of the land include dryland farming and ranching. Sitting Bull College began as Standing Rock Community College in 1973. At that time, the college earned a charter from the Standing Rock Sioux Tribal Council to operate as a postsecondary educational institution with the authority to grant associate degrees. As the college recognized a growing need in the community for higher education opportunities, residents on the reservation began creating one of the first tribal colleges in the United States. When the reservation first obtained its charter, colleges from around the state offered courses on-site. However, they failed to coordinate their efforts effectively, so tribal leaders decided to provide education through a central institution, instead. In 1966, the Standing Rock Sioux Tribal Council officially amended its charter to change the college's name to Sitting Bull College. The school now boasts more than 70 full-time faculty members and around 300 students every semester. SBC offers bachelor's, associate, and vocational programs. Florida International University identifies as Miami's first and only public research university, offering bachelor's, master's, and doctoral programs through innovative service to the local and academic community. Out-of-state undergraduate students can expect to pay $18,566 per academic year for an on-campus education, or $9,894 annually for an online degree. Nonresident graduate students, on the other hand, pay more for an online education than for an on-campus one -- $18,158 for a distance-learning graduate degree or $18,030 for an on-campus graduate degree. FIU's School of Computing and Information Sciences and its Herbert Wertheim College of Medicine represent just two of institution's schools, colleges, and centers working to enforce high standards for research. FIU has functioned as one of Southern Florida's anchor institutions for more than 40 years, aiming to enrich lives within the global and local community. The university serves a student body of almost 54,000 learners, and ranks among the 10 largest universities in the United States. FIU boasts more than 200,000 alumni, 115,000 of whom live and work in Southern Florida. It displays a diverse student body, with 61% Hispanic students, 15% white, 13% black, 4% Asian or Pacific Islander, and 7% in other minority groups. FIU offers nearly 200 programs, including several online degrees. Freshman applicants must submit ACT or SAT scores, complete a FAFSA, and provide high school transcripts. FIU provides graduate students with a variety of opportunities, offering 106 master's programs, 33 doctoral programs, and more than 50 certificate and specialist programs. FIU also offers the only public medical school in Southern Florida. Graduate applicants must meet program-specific application requirements, which typically include completing an application, submitting undergraduate transcripts, and meeting minimum GPA requirements. A public, land-grant university, Iowa State University features accreditation from the Higher Learning Commission. Out-of-state undergraduate students at Iowa State pay $11,072 per semester in tuition, and nonresident graduate students pay $11,782. Founded in 1858, Iowa State University began as Iowa Agricultural College and Model Farm. The first campus building was the farm house, situated on the original 648-acre farm. The college's first class in 1869 comprised 24 men and two women, who graduated in 1872. The school was and remains a leader in engineering, agriculture, home economics, and extension. The college also created the first veterinary medicine school in the United States in 1879, and was officially renamed Iowa State University of Science and Technology in 1959. The university's focus has since maintained a technology focus, leading to several research patents and inventions such as the first binary computer, the round hay baler, and Maytag blue cheese. Today, the university educates about 27,000 students and features more than 100 buildings with programs in technology, science, agriculture, and art. Iowa State University awards millions of dollars in scholarships to incoming students each year, many of which require students to complete an application. ISU offers more than 100 majors across 10 colleges and schools, and features notable alumni including George Washington Carver and Carrie Chapman Catt. Founded in 1847, the City College of New York provides high-quality, affordable education to students pursuing a variety of disciplines. Nonresident undergraduate students pay $600 per credit, while nonresident graduate students pay $920 per credit. The college offers invigorating programs in engineering, architecture, education, and liberal arts and sciences. CUNY undergraduates conduct research with their professors to publish and present their findings at CUNY City College. CUNY features several research centers, enabling professors to maintain their professional practices and students to expand their skills and abilities. The college features 16 varsity teams competing in NCAA Division III, and boasts over 100 student clubs and organizations. City College highlights a diverse student body, with students representing more than 150 nationalities. Students can choose from a variety of majors, including biomedical engineering, creative writing, electric design and multimedia, media and communication arts, and women's studies. The Grove School of Engineering at CUNY identifies as the only public engineering school in New York City. Its admissions department requires applicants to hold a high school grade average of 85% or better, complete two years of English, finish four years of high school mathematics (including precalculus) with at least an 80% average, complete three years of science (including one year of chemistry) with an 80% minimum, and take one year of physics with an 80% minimum. Transfer applicants must hold a minimum college GPA of 2.7, with a minimum 2.5 GPA in math and science courses, two completed semesters of calculus with a C grade or better, demonstrated proficiency in math and science denoted by transcripts, and at least 24 credits of college coursework. Graduate applicants must hold a bachelor's degree with a B average or higher in their major field. They must also submit letters of recommendation and complete an admissions application. Consistently named one of the best universities in the Midwest, Ball State University boasts a 93% career placement rate for graduates. Undergraduate out-of-state students pay an estimated $24,462 in tuition each academic year. Ball State takes an immersive, innovative approach to education, guided by defined values. The university began as a teachers' college, and has since grown far beyond that identity, now known as a world-class university. Ball State University alumni have gone on to provide animation for major motion pictures, win songwriting competitions, design extreme weather shelters, and hold key positions in major news and media organizations. Founded in 1918, Ball State University in Muncie, Indiana, registers as a state-assisted residential university. BSU educates around 21,000 undergraduate and graduate students each year, and ranks as featuring high research activity by the Carnegie Foundation for the Advancement of Teaching. BSU holds accreditation from the Higher Learning Commission, and several of its individual programs bare programmatic accreditation. Undergraduate applicants at BSU must complete an admissions application, submit high school transcripts, hold the necessary required courses, and submit ACT or SAT scores. Admitted undergraduate students usually hold a minimum GPA of 3.5, an 1160 on the SAT, and a 23 on the ACT. Graduate applicants must complete an admissions application, hold a bachelor's degree from an accredited institution, and meet their program-specific admissions requirements. Moreover, four out of every five students at Ball State receive merit- or need-based financial aid. Offering more than 125 undergraduate and graduate programs, the New Jersey Institute of Technology features six specialized schools with expert faculty leading courses. Nonresidents of New Jersey pay $29,586 in tuition during the academic year. All NJIT programs feature full accreditation from the appropriate accrediting boards, associations, and commissions. The Middle States Association of Colleges and Schools accredits the institution, while associations like the Accreditation Board for Engineering and Technology and the Association to Advance Collegiate Schools of Business accredit individual programs within the institute. NJIT features extensive continuing education programs, along with online courses, to offer training for working professionals. The institute also boasts competitive industry internships. NJIT has garnered recognition as a top school in awarding engineering degrees to Hispanic and black students. The institute also boasts more than 130 student organizations and clubs, along with community service projects to enhance students' experiences and lives. The 45-acre campus sits in the University Heights district of downtown Newark, only a 20-minute train ride from Manhattan. Undergraduate applicants at NJIT must complete an admissions application, provide official high school transcripts, hold a minimum GPA of 3.0, submit ACT or SAT scores, write a personal essay, and provide letters of recommendation. Undergraduate applicants interested in design and architecture programs must also submit their portfolios. Graduate applicants must complete an admissions application, hold a bachelor's degree from an accredited institution, and provide transcripts. Graduate applicants must also meet all program-specific requirements. Texas A&M University began in 1876 as the state's first public higher learning institution. Nonresident undergraduate students pay $36,442 in tuition and fees during the academic year, and $7,629 for summer semester. The university stands as a research-intensive flagship university, committed to sending leaders into the world after graduation. Highlighting more than 125 undergraduate programs, 200 master's programs, and 100 doctoral programs, Texas A&M covers areas of study across 18 colleges and schools, including majors in veterinary medicine, biomedical sciences, public health, nursing, and engineering. The university sits in the heart of the Houston-Dallas-Austin triangle. The main campus in College Station houses more than 64,000 students, and 5,200 more students study at the branch campuses in Qatar and Galveston. College Station boasts a community of nearly 170,000 residents. Freshman applicants at Texas A&M University must complete an admissions application and pay a $75 application fee. They must also submit an essay, provide high school transcripts (including grades for all courses through junior year), submit ACT or SAT scores, and provide any additional supplemental materials, including a resume or letter of recommendation. Graduate applicants must complete their admissions application, pay the $65 fee, submit official transcripts from an accredited undergraduate program, provide GRE or GMAT test scores, and submit a copy of a permanent resident card. Known as an American public, land-grant research university in Clemson, South Carolina, Clemson University was founded in 1889 and registers as the second-largest university regarding student population in the state of South Carolina. Clemson identifies as one of the most selective public research universities in the country, serving a highly accomplished student body. The institution promotes world-class research and a positive student experience. Clemson boasts some of the highest retention and graduation rates for public universities in the United States, and consistently ranks as one of the best public universities. Clemson's campus rests on 1,400 acres in the Blue Ridge Mountains, along the shores of Hartwell Lake. The university offers economic development hubs and research facilities across the state in Greenwood, Greenville, Columbia, Charleston, and Anderson. The university was founded by Thomas Green and Anna Calhoun Clemson, who had a strong interest in agricultural affairs, education, and science. Originally, Clemson was an agricultural college, serving exclusively male military members. In 1955, the university opened up to civilian students, and adopted the Clemson University name. Clemson hosts 18,599 undergraduate students and 4,507 graduate students, offering more than 80 majors and 80 minors. Graduate students also have access to more than 110 graduate programs across seven colleges. The libraries at Clemson feature 1.5 million resources, and more than 1,000 Clemson students study abroad each year. Clemson features tuition rates of $15,374 per year for in-state undergraduate students, and $37,128 each year for out-of-state undergraduates. Many programs at Clemson feature program- or college-specific fees, so tuition costs vary depending on which program a student pursues. Ferris State University, located in Big Rapids, Michigan, boasts a student-to-faculty ratio of 16-to-1, allowing learners full access to instructors at 190 programs. Students can take advantage of more than 200 student organizations, and a 70% internship placement rate. The four-year university offers programs at the associate, bachelor's, master's, and doctoral levels. Ferris students enjoy accessible faculty members and small class sizes, which promote more engaging instruction, professional connections, and one-on-one career advice. Programs at Ferris feature adaptive curriculums, comprising technical and professional programs in traditional academic areas. The university boasts a variety of facilities to support amenities for residential and computer students, including the student union, University Center, heavy equipment lab, and the television and digital media production studio. Ferris prides itself on connecting with Michigan community colleges more than any other state institution, cultivating partnerships with multiple campuses to expand online offerings. This allows students to complete Ferris coursework at local community colleges, and ultimately earn a Ferris degree. Ferris features the same tuition rates for all U.S. residents (regardless of the state in which they live) and Canadians, which is $11,788 per year for freshman and sophomore undergraduates, and $6,090 per semester for juniors and seniors. Graduate students pay $610 per credit hour. The Missouri University of Science and Technology in Rolla functions as part of the University of Missouri system. Founded in 1870, Missouri S&T was one of the first technological institutions west of the Mississippi River. The university strives to lead public technological research universities in innovation, creativity, and discovery, cultivating curiosity and confidence in its graduates. Missouri S&T educates around 8,600 undergraduate and 1,800 graduate students, along with 20 design teams and 99 programs. The 40-acre campus offers areas of study including business, humanities, engineering, liberal arts, and computer science. The university features 15 NCAA Division II varsity athletic teams, and its campus boasts a commitment to environmental sustainability, hosting a comprehensive geothermal energy system. Missouri S&T features more than 250 student organizations in a variety of interest areas, including running, blacksmithing, and longboard ink. More than 85% of the university's full-time, first-year undergraduate students receive financial aid through scholarships and grants. The university features affordable tuition rates, with in-state students paying around $9,048 each year, and out-of-state students paying $24,470 each year. Each Missouri S&T department implements its own admissions requirements, but all undergraduate applicants must submit a completed application, high school transcripts, and ACT or SAT scores. Georgia Institute of Technology's main campus, commonly referred to as Georgia Tech, is located in the Midtown neighborhood of Atlanta, Georgia. Georgia Tech offers more than 130 majors and minors to students, covering areas of study such as mechanical engineering, computer engineering, business administration and management, and computer and information sciences. Georgia Tech boasts accreditation from the Southern Association of Colleges and Schools Commission on Colleges to award bachelor's, master's, and doctoral degrees. Undergraduates at Georgia Tech enjoy an in-state tuition rate of $10,008 per academic year, while out-of-state students pay $30,604 each year. Graduate students face varying tuition rates depending on their area of study. Georgia Tech consistently ranks as a top public college and leading research university in the United States, providing focused education to more than 25,000 undergraduate students in a variety of fields including business, liberal arts, design, engineering, and computing. The school also features international campuses in Metz, France, and Shenzhen, China. Many of the school's programs feature national accreditation. Most students at Georgia Tech pursue engineering degrees. Computing studies encompass 1,218 students, and business majors include 712 students. Overall, the institute serves 3,608 bachelor's students, 2,524 master's students, and 508 doctoral students. A four-year public university in Murray, Kentucky, Murray State University serves around 10,500 students and consistently ranks as one of the top regional universities. Founded in 1922, the school has grown from a student body of 202 to more than 10,000 students today. Learners at Murray State enjoy individual attention from more than 400 faculty members. The university boasts accreditation from the Southern Association of Colleges and Schools Commission on Colleges, and features programmatic accreditation for several programs including civil engineering technology, counseling, communications, social work, and art. Murray State houses five academic colleges, two schools, and a library on its 236-acre campus. The university awards associate, bachelor's, master's, and doctoral degrees to students across a broad range of study areas. Freshman applicants must complete an admissions application, submit high school transcripts, pay a $40 application fee, report ACT or SAT scores, and hold a 3.0 minimum GPA. Transfer applicants must submit their admissions application with a $40 fee, provide official college transcripts, hold a 2.0 minimum GPA, and hold credits from an accredited institution. Graduate applicants at Murray State must satisfy admissions requirements for their individual area of study, as well. Depending on the department on major, admissions requirements may include letters of recommendation, resumes, specific prerequisites, and minimum GPA requirements. Undergraduate students at Murray State face unique tuition structures. Rather than set rates for residents and nonresidents, Murray State features discounted tuition rates for surrounding states. Alabama, Illinois, Indiana, Missouri, and Tennessee all enjoy lower nonresident tuition rates. Other out-of-state students pay $922.50 for each semester's tuition, compared to the in-state cost of $367.50 per semester. Located in Ada, Oklahoma, East Central University functions as part of Oklahoma's Regional University System. ECU features a variety of notable alumni, with five graduates elected to the office of governor. ECU identifies as the only public institution in the state offering a bachelor of science in legal studies, and its nursing school is well regarded statewide for students passing the national council licensure examination, with more than 95% of graduates passing in the last five years. The university boasts more than 70 student organizations, including honor societies, departmental clubs, student government, special interest groups, fraternities and sororities, and religious organizations. ECU resides in the Great American Conference, offering varsity sports in men's and women's basketball, men's baseball, men's and women's cross country, men's football, women's soccer, women's softball, men's and women's track, and women's volleyball. The university boasts a diverse student body representing students from 25 states and more than 30 countries. ECU registers as the only institution in Oklahoma and one of few in the country to offer an accredited bachelor of science degree in environmental health science, and also holds the spot as one of the few universities in the U.S. to offer a bachelor's degree in medical physics. ECU charges out-of-state students $15,720 per academic year in tuition in fees, whereas in-state students pay $6,600. The university offers a variety of scholarships to both in-state and out-of-state students, some based on merit and some on financial need. Students receiving scholarship funding must complete their FAFSA. Those who do not complete a FAFSA do not qualify to receive a scholarship. Tuition and room waivers do not include fees and meal plans, and scholarships are awarded based on fund availability. Students who qualify for scholarships receive a letter and contract to complete in order to accept their award. The State University of New York at New Paltz values diversity in thought, experience, and expression, providing an educational environment that promotes excellence through inclusion and equity. The State University of New York at New Paltz features five colleges and schools: the College of Liberal Arts and Sciences, the School of Business, the School of Education, the School of Fine and Performing Arts, and the School of Science and Engineering. New Paltz boasts full accreditation from the Middle State Commission on Higher Education. Several of the institution's programs hold programmatic accreditation, as well, from associations like the National Association of Schools of Art and Design, the National Association of Schools of Music, and the National Association of Schools of Theatre. The College of Liberal Arts and Sciences offers 11 interdisciplinary minor curricula, which allow students to develop specialized skills and a liberal education knowledge. The business school highlights accreditation from the Association to Advance Collegiate Schools of Business, which accredits only the top 5% of business schools around the world. The university's campus features state-of-the-art classrooms, an expanded Curriculum Materials Center, and a new literacy center to allow students the opportunity to collaborate with faculty members and connect policy and practice with theory. The science and engineering school provides students with an innovative education in engineering, math, and science, emphasizing creative thinking, problem solving, and teamwork. The State University of New York at New Paltz features relatively cheap out-of-state tuition rates, charging nonresident students $694 per credit hour, while in-state students pay $286.00. Established in Turlock, California State University, Stanislaus ranks among the top 10 schools on the West Coast. Stanislaus State values an inclusive school culture and strives to personalize students' learning experience. On-campus students gain access to an engaging environment and school culture, and Stanislaus State is one of only five other universities in the country that has gained recognition as one of the best schools in social mobility index. Stanislaus State's accelerated bachelor of science in nursing (ASBSN) stands out among other nursing programs. Designed with the working professional in mind, this program includes 59 units, allowing students to graduate within just 17 months. Students must hold passing grades in 10 prerequisite courses with a minimum 3.0 GPA overall to qualify. The Stanislaus State ASBSN considers nursing practice from the perspective of mental, community, maternal child, and adult health. Students also explore pediatric and reproductive health nursing content. This program challenges students to examine their own cultural beliefs and common client behaviors related to those beliefs. The ASBSN also emphasizes the influence of culture on health care practice and delivery through courses including transcultural nursing. Students must complete culminating experiences in the pre-licensure seminar and pre-licensure practicum courses. This program often requires 10-week courses and may not include traditional breaks between semesters. Successful completion of this program qualifies graduates to take the National Council Licensure Examination for registered nurses. In addition to regional accreditation through the Western Association of Schools and Colleges, Stanislaus State holds full accreditation through the Commission on Collegiate Nursing Education. While the Stanislaus State ASBSN program applies out-of-state tuition for nonresident learners, students who belong to states that participate in the Western Undergraduate Exchange program may qualify for reduced nonresident tuition. Similarly, students who meet provision standards under the California Education Code may qualify for tuition waivers. Northwest Missouri State University offers over 260 programs at their rural, lakefront campus in Maryville. Originally established as a teachers college, Northwest has gained recognition as the first education institution in the state to earn the Missouri Quality Award consecutively. The Northwest education program emphasizes quality curriculum and instruction as well as meaningful engagement through collaboration, inquiry, and innovation. Students can choose from multiple programs at the bachelor's and master's degree level as well as a doctorate in education that focuses on educational leadership and policy analysis. Students in this doctorate program explore the ways that ethics, diversity, and constant change influence educational management. The program also highlights leadership theories and research design; notable coursework includes data-driven decision making, which encourages emerging leaders to develop practical workplace competencies that address current and foreseeable challenges. Northwest's Ed.D. program includes two professional seminars where students engage in advanced research design and prospectus development. This program also requires a summative research in educational leadership and policy analysis dissertation evaluation. The Northwest Ed.D. program comprises 46 hours and utilizes a cohort design beginning each odd school year. Most students earn their degree in three to five years depending on enrollment status. Total program costs remain significantly below the national average, allowing students to earn an advanced degree from one of the cheapest out-of-state colleges. Furthermore, the Bearcat Advantage program allows out-of-state students to pay in-state tuition; students must hold a minimum 3.0 GPA to qualify. The school also provides textbooks and laptops to help bolster student success. Northwest retains accreditation through the Higher Learning Commission, and the education program holds specialized accreditations through multiple agencies including the Missouri State Board of Education. Located near Turnbull National Wildlife Refuge in Cheney, Eastern Washington University has provided education to degree-seeking students for nearly 140 years. EWU boasts a diverse student body, connection to culture, and an inclusive community, which earned them the Higher Education Excellence in Diversity Award. Home to multiple distinguished research centers, EWU students can earn a bachelor of arts in women's and gender studies that examines women's positions, contributions, and experiences throughout history. Students engage in ongoing critical analysis of gender structures in addition to the influence of U.S. and global culture. Students also gain a foundational understanding of social and behavioral science theory, components of anthropogenic influence, and statistics. Notable coursework includes feminist methodologies, which assesses knowledge-generating strategies for feminist research. Course objectives require students to display critical awareness of self-directed research and understand the ways research methods direct outcomes. Students also participate in a culminating capstone seminar during the last year of their program. The EWU BA in women's and gender studies requires 45 credits, including 23-25 elective credits. Students work with their academic coach to determine which electives best suit their career goals. To ensure students' success, EWU offers free tutoring services, library research support, and personal counselors. While EWU does charge out-of-state tuition, residents of states affiliated with the Western Undergraduate Exchange qualify for greatly reduced tuition rates, which often save students around $14,000 per year. Additionally, students who relocate to Washington may qualify for in-state tuition after one year. However, active duty service members, veterans, and Native Americans who meet EWU requirements may qualify for resident tuition. EWU also provides more than $5.5 million in scholarships. EWU retains accreditation through the Northwest Commission on Colleges and Universities. In 1912, Farmingdale State College opened its doors to New York college students. Their solar energy center was the first training institution to earn accreditation in the region and fourth to earn it in the nation. Farmingdale's BS in electrical engineering provides students with a firm foundation in mathematics and physics. This program also strives to expose students to current engineering theory, methodologies, and critical thinking skills that can assist with solution development for cutting-edge technology. Students also complete a series of courses focused on humanities and the arts to develop excellent communication skills, ethics, and a socially just outlook to address global dilemmas. In addition to core coursework, Farmingdale also offers technical electives that correlate with students' career interests. For instance, data communications and networking explores basic concepts of computer connectivity, topologies, and media. This course also examines open system interconnection, server networks, rudiments of data transmission, and relevant protocols. Outside of classes, students can also join the Farmingdale chapter of the Institute of Electronics and Electrical Engineers, an organization that encourages and engages engineering students in real world experience. First-time freshman applicants must carry a minimum 3.0 GPA and provide proof of passing algebra or pre-calculus. Transfer students must hold at least a 2.5 GPA at an accredited university and show proof of passing a college algebra course. While this school does charge out-of-state tuition, their nonresident rates remain below the average in-state New York tuition costs, making Farmingdale one of the cheapest colleges to attend. Farmingdale retains accreditation through the Middle States Commission on Higher Education, and their BS in electrical engineering holds specialized accreditation through the ABET. As the sole four-year college in the Bronx, Lehman College CUNY serves a diverse student body. Lehman College strives to make higher education more attainable for students at varying socioeconomic statuses, which has earned them fourth place in the nation for social mobility. Students may choose from over 120 bachelor's and master's degree programs. However, Lehman College's master of science in family nurse practitioning (FNP) retains particular esteem. As advanced practice registered nurses, family nurse practitioners must understand how to accurately diagnose, treat, and counsel both their patients and their patients' family members. This program emphasizes preventative methods, evidence-based research practices, and ethical leadership. Students also explore health planning strategies and policy development. Lehman College requires students to complete a culminating advanced professional seminar during their last semester. In addition to the required 45 credit hours, student must complete mandatory clinical hours to satisfy regulatory stipulations. To qualify for the program, students must have a minimum 3.0 GPA and a bachelor's degree in nursing from a school that holds accreditation from the Accreditation Commission for Education in Nursing or the Commission on Collegiate Nursing Education. This program also requires at least one year of professional experience. Lehman College applies out-of-state tuition rates that remain much lower than the state average and offers an academic achievement scholarship program that provides up to $4,000 in assistance per year. The college also participates in the Search for Education, Elevation and Knowledge program that assists students at an economic disadvantage. Lehman College retains regional accreditation through the Middle States Commission on Higher Education, and the nursing program holds accreditation through the Commission on Collegiate Nursing Education. The State University of New York (SUNY) at Oswego emerged in 1861 as a small school to train aspiring educators. Since then, the university has grown to enroll approximately 8,000 students pursuing esteemed undergraduate and advanced degrees in multiple fields. In fact, SUNY Oswego's school of business has gained recognition as one of the best programs in the nation. The SUNY Oswego school of business offers several combined master's programs for students who wish to maximize their time. For instance, the integrated psychology and business administration program allows students to earn a bachelor of arts and an MBA in just five years. This program provides students with a strong foundation in psychology theory, scientific inquiry, critical thinking, and research methods. Students also explore social responsibility and ethical practices. The psychology component of this program requires a culminating capstone experience in the form of a laboratory research project, thesis, or internship. Business courses ensure that students possess pertinent leadership skills and can address managerial responsibilities regarding finance, marketing, investments, and portfolio management. Students work with academic coaches to identify which elective meet their career objectives. For example, in enterprise risk management, students examine the implications of contracting, hedging, and loss control and will learn how to measure identified risks and develop methods for integrating risk treatment programs. The business portion of this program also requires a capstone course in management policy. The SUNY Oswego school of business retains specialized accreditation through the Association to Advance Collegiate Schools of Business. SUNY Oswego allows students to earn two degrees in a fraction of the time and offers some of the cheapest out-of-state tuition rates. Additionally, the university offers greatly reduced tuition rates for out-of-state distance learners. Students might also consider the Excelsior Scholarship, which provides full tuition coverage. SUNY Oswego also offers multiple assistantships, scholarships, and fellowships to offset tuition costs. Located in Stillwater, Oklahoma State University-Main Campus has earned recognition as one of the top public schools in the U.S. The school originally identified as an agricultural and mechanical college. Today, the university holds classification as an esteemed research institution by the Carnegie Foundation. OSU Stillwater's veterinary biomedical sciences graduate program strives to enhance the quality of animal health through biomedical research. Areas of focus include clinical sciences, infectious diseases, physiology, toxicology, and stem cell biology. OSU Stillwater advisors work with students individually to select elective courses that compliment students' career objectives. This graduate program prepares students to fill governmental, regulatory, and research positions and requires a senior seminar and laboratory research thesis. Applicants must possess a 3.0 GPA in a science field from an accredited university. The veterinary biomedical sciences graduate program retains programmatic accreditation through the American Veterinary Medical Foundation Association Council on Education, and OSU Stillwater holds accreditation from the Higher Learning Commission. OSU Stillwater prioritizes providing access to an affordable education by offering multiple tuition models. First-time college students and transfer students qualify for tuition lock rates that allows them to retain a set tuition rate with continuous enrollment. The school also offers a block rate tuition model that charges the same amount for 12-18 credit hours per semester. Nonresidents can apply for the Out-of-State Achievement Scholarship, which can cover up to $13,000 per year, making OSU Stillwater one of the cheapest out-of-state colleges. Since its inception in 1884, the Mississippi University for Women has fought against controversy and endeavored for equal access to quality higher education. As a pioneer in women's higher education, the university quickly earned recognition for academic success and employment. Today, the university offers quality bachelor's and master's degrees to both men and women. The Mississippi University for Women offers a bachelor of science in nursing (BSN) that qualifies graduates to begin their career as a registered nurse (RN). Students may choose the generic program that prepares students to prevent illness, maintain patient health, and manage terminal health concerns. This option requires 131 credit hours, including a clinical practicum and preceptorship. Students also engage in coursework to prepare for the NCLEX exam. However, students with an RN certification should choose Mississippi University for Women's esteemed RN-to-BSN advanced placement option, which only requires 45 credit hours and provides flexible access to courses through a hybrid course structure. Students engage in innovative coursework including professional perspectives that examine complex alterations in health posing threats to patients' lives. Coursework also emphasizes theory, research, and evidence-based practices. This program also requires clinical coursework. To qualify, students must possess a minimum 2.0 GPA. The RN-to-BSN advanced placement option also requires a valid RN license through Mississippi or a state affiliated with the Nurse Licensure Compact. Mississippi University for Women's nursing program holds accreditation through the Commission on Collegiate Nursing Education. Mississippi University for Women strives to make their programs affordable. Qualifying students may apply for the Honors Award Scholarship, which awards recipients $22,000 on average. The university also offers freshmen scholarships, which may cover up to $4,500 each year. However, Mississippi University for Women does not charge out-of-state tuition, making the university one of the cheapest out-of-state colleges for nonresident students. Based in Rock Hill, South Carolina, Winthrop University emerged in 1886 to prepare women to teach in local schools. The university has grown to offer 70 bachelor's and master's programs to both men and women. Winthrop has also earned recognition as one of the best universities in the state by the South Carolina Commission on Higher Education. Students can earn a bachelor of science in education with a focus in their preferred target population. For instance, aspiring educators who wish to help students with cognitive, mental, emotional, or physical disabilities can pursue Winthrop's BS in special education. This degree provides a K-12 multicategorical special education certification and prepares educators to develop innovative solutions that lead to special needs students receiving an inclusive education in general classroom settings. Students can also earn additional certification in severe disabilities and elementary education, which focuses on second grade through sixth grade. This program requires multiple field experiences including methods, practicum, and student teaching. Students can secure their own placement with approval, but Winthrop faculty members also assist with field placement. Winthrop strives to provide affordable tuition rates and offers notable tuition assistance. Students participating in the National Achievement Scholarship who name Winthrop as their top choice can earn a $24,250 award, and the Winthrop Gold Scholar offers up to $6,000 per year. Out-of-state students also qualify for scholarships and waivers. In fact, at the Gold Scholar level, Winthrop awards a $1,000 scholarship and nearly $14,000 in waived tuition. Students must possess a 3.5 GPA to qualify. In conjunction with other smaller in-house scholarships, Winthrop offers some of the cheapest out-of-state tuition. Positioned just off the coast of Sarasota bay, USFSM offers an urban campus experience while also catering to the needs of nontraditional learners through hybrid coursework and individualized programs. USFSM values a highly engaged learning environment, so most classes provide a maximum 14-to-1 student-faculty ratio. The USFSM bachelor of science in accounting prepares students to analyze financial content and budgets of organizations in varying fields. This program emphasizes the collection, synthesis, and reporting of accounting data in multiple technology-related areas. Students examine processes used to operate information systems that report on accounting information. Organizational skill development assists students in estimating company expenses while applying basic concepts of asset management. Students also practice decision-making skills regarding resource allocation and talent evaluation. The USFSM accounting program prioitizes professional responsibilities associated with policy and auditing. Outside of the classroom, USFSM provides access to several internships and research assistantships. This program requires prerequisite coursework prior to admittance in the major, and a minimum of 150 credit hours are required to qualify for CPA licensure. To gain admission to USFSM, students must hold a minimum 2.0 GPA, but the USFSM College of Business requires accounting majors to hold a 2.75. While USFSM applies out-of-state tuition, their rates remain significantly below average nonresident costs for public schools across the nation. Furthermore, USFSM participates in the Congressman C.W. Bill Young Veteran Tuition Waiver Program, which waives nonresident costs for honorably discharged veterans. Qualifying students can also apply for the State College of Florida Collegiate School Scholarship, which covers any tuition that FAFSA does not. Accounting students can apply for the Florida Institute of Certified Public Accountants Scholarship, which awards students $2,000 each year. Situated in the metropolitan area of Utica, New York, SUNY Polytechnic Institute has provided access to higher education for over 50 years. The institute prioritizes discovery of innovative research and technology development, which has earned it global recognition. SUNY Polytechnic Institute boasts their renowned bachelor of science in nanoscale engineering program, which utilizes cutting-edge approaches to develop curriculum that prepares graduates to add value in their job roles. Students examine technical and professional skills required to discover, investigate, and theoretically interpret current nanoscale dilemmas. SUNY Polytechnic Institute also promotes a liberal education with courses that focus on applied engineering theories, mathematics, and physical sciences. Students also expand their critical thinking, analytical, modeling, and communication skills. Concentrations in nanoelectronics, nanoscale engineering for energy and environment applications, nanosystems engineering, nanoscale lithography, and emerging materials and device engineering. The bachelor of science in nanoscale engineering program comprises 120 credits, including a senior seminar and culminating capstone research design course. This program also offers an honors program that requires students to complete advanced capstone research courses. SUNY Polytechnic Institute possesses regional accreditation through the Middle States Commission on Higher Education. The nanoscale engineering program retains programmatic accreditation from ABET. Applicants must hold a 3.25 GPA, and those who require additional support can schedule tutoring sessions on-campus and online, seven days a week. SUNY Polytechnic Institute provides access to computer labs and library research support, and students also have access to multiple online databases. While SUNY Polytechnic Institute does apply out-of-state tuition rates, students may qualify for merit-based scholarships that greatly reduce yearly costs. Additionally, the institute strives to assist veterans and students from lower socioeconomic households through service and need-based scholarships. The Western Washington University campus overlooks the Bellingham Bay. As one of only six public universities in Washington, WWU strives to offer high-quality education that produces active leaders who create positive impact through community problem solving, critical thinking, and active learning. While WWU serves almost 16,000 students, class sizes remain small enough for students to engage with professors. WWU's esteemed master of arts in rehabilitation counseling prepares graduates to meet the needs of clients struggling with cognitive, mental, developmental, and physical disabilities. This program explores major counseling techniques and theories. As a research-intensive program, students examine various design methods and criteria for analysis and gain an overview of addictions and human development across the lifespan. This program also emphasizes ethical decision making, awareness of multicultural issues, and knowledge of current legislation. Coursework also examines career development and job placement, which provides base knowledge on meaningful employment and labor market trends. The WWU rehabilitation counseling program includes a 50-hour pre-practicum and 100-hour practicum experience where students demonstrate counseling skills with actual patients. Students also complete a 600-hour internship at a local agency under direct supervision of a seasoned supervisor. To complete the program, students must also pass a comprehensive exam. Most students complete this 90-credit program in two years, but part-time enrollment and flexible access to coursework is offered for nontraditional students. Rehabilitation counseling students may qualify for a tuition waiver if they agree to serve two years working in a state facility for every year they receive assistance. WWU's Western Award for Excellence offers $32,000 to students with a 3.8 GPA. WWU's master of arts in rehabilitation counseling retains programmatic accreditation through the Council for Accreditation of Counseling and Related Educational Programs, and WWU holds regional accreditation through the Northwest Commission on Colleges and Universities. University of South Florida offers a metropolitan experience in Tampa. As the fourth-largest public university in the state, students gain access to a vast, diverse network. Undergraduate students can choose from 80 programs, and USF-Main Campus offers over 130 advanced degrees. Furthermore, USF-Main Campus has earned recognition as a top-tier research institution by the Carnegie Foundation. USF-Main Campus offers a doctor of audiology that boasts specialized accreditation from the Council on Academic Accreditation in Audiology and Speech-Language Pathology. Students engage in rigorous coursework that prepares them to diagnose, manage, and treat patients who suffer from hearing or balance deficiencies. Initial courses explore audiology instrumentation, psychoacoustics, auditory anatomy, and physiology. Advanced classes examine amplification, vestibular evaluations, and the use of cochlear implants. USF-Main Campus also offers advanced rehabilitation for children, a distinctive course that helps students to understand the specialized needs of young patients. This program emphasizes innovative research, theory, and clinical experiences. Students must complete five clinical courses including lab and applied hours as well as three clerkships and three externships. To graduate, students must complete a directed research audiology doctoral seminar, a culminating applied research project, or an evidence-based practice project. This program includes a minimum 120 credit hours that most students complete in four years. USF-Main Campus acknowledges that advanced degrees require an investment. Therefore, the school provides multiple alternative funding options for both in-state and nonresident students that make USF-Main Campus one of the cheapest out-of-state colleges. The Dissertation Completion Fellowship offers $8,000 for one semester along with a tuition waiver, while the Genshaft Family Doctoral Fellowship provides a $10,000 stipend and a tuition waiver. The Presidential Doctoral Fellowship offers students up to $32,000 and tuition coverage. The University of Maine at Farmington offers a scenic campus environment just outside of downtown Farmington. As Maine's first public school, UMF strives to provide affordable education to degree-seeking students while emphasizing ethical professional conduct and community involvement. 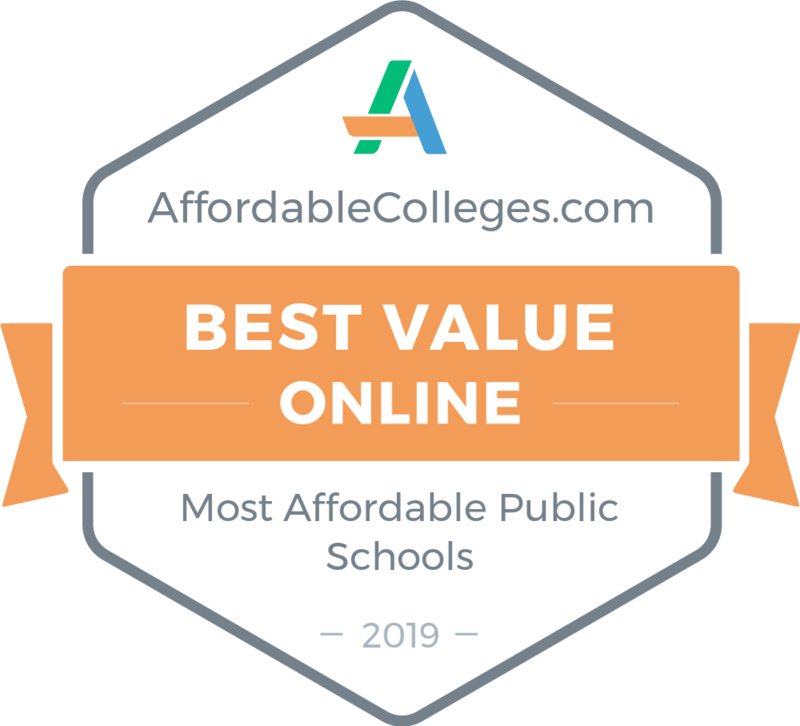 For more than 150 years, UMF has refined their curriculum and earned recognition as one of the top public regional colleges, as a best value school, and as a top undergraduate college for teaching. UMF offers a cutting-edge bachelor of science in secondary and middle education that allows graduates to work with children from seventh grade through their senior year in high school. Students begin gaining field experience by their sophomore year, and coursework includes foundational concepts and theories in child psychology, adolescent development, special needs, and classroom management. UMF requires students pursuing a degree in secondary and middle school education to choose a content area to focus in, such as English, mathematics, science, and social studies. Coursework provides a broad foundation of topics and content that adolescents cover in school. UMF also offers a coaching minor that qualifies graduates to oversee youth sports; this additional coursework may extend graduation beyond the average four-year timeline. The UMF teaching program requires a practicum and student teaching experience to graduate. Students may also need to complete a senior project in their content area. UMF retains national programmatic accreditation by the National Council for Accreditation of Teacher Education. UMF provides affordable rates for all students and also offers generous scholarship options. The legacy tuition program for out-of-state students allows the family of alumni to gain access to in-state tuition. UMF also participates in the New England Regional Student Program, which reduces tuition by about $5,000 each year. Located in central New York, SUNY Oneonta has provided higher education programs for nearly 130 years while retaining regional accreditation by the Middle States Commission on Higher Education. The school's small-town atmosphere consists of a diverse student body, and has earned recognition for excellence in diversity and inclusion. While SUNY Oneonta offers multiple nationally accredited programs, their education degrees hold particular esteem for the advancement of teaching and engagement by the Carnegie Foundation. SUNY Oneonta's bachelor of science in childhood education prepares graduates to teach first through sixth grade and provides ample opportunities for instructional practice, research, and mentorship. The university follows a cohort format to encourage students to collaborate and build meaningful relationships. Coursework examines child development and explores the psychology of learning and motivation. Students explore current issues in the field and pedagogical theories. SUNY Oneonta also emphasizes education law and technology integration. This program requires students to declare an area of concentration, which includes English, reading, mathematics, biology, chemistry, geography, or social science. Students must participate in 15 hours of method coursework that examines differentiation of instruction. This program also includes 15 hours of student teaching and culminating capstone course. SUNY Oneonta applies out-of-state tuition but also strives to make education more affordable. Residents can apply for the Excelsior Scholarship, which waives tuition for qualified applicants. To qualify for resident tuition, students must establish residency for at least 12 months. However, all students can access multiple scholarship opportunities to offset school costs. Both the Presidential Award for Academic Distinction and Presidential Award for Diversity and Leadership offer $26,000 over four years to incoming freshmen. Additionally, SUNY Oneonta offers online tuition that closely compares with in-state tuition. As the second-oldest university in the U.S., the College of William and Mary possesses a lineage unlike other U.S. higher education institutions. W&M represents students from all 50 states and over 65 foreign countries and advocates for community engagement, resulting in over 3,500 service projects each year. W&M values highly interactive classroom experiences, so class sizes retain an 11-to-1 student-to-faculty ratio. W&M's "5 Year BA to M.A.Ed" Program deserves particular distinction. Students choose an initial area of focus; for instance, those with an affinity for working with older students may choose secondary education. This program explores basic concepts of adolescence psychology and development for students in sixth grade through their senior year of high school. Students pick a content area for specialization, such as math, science, English, or social studies. Coursework provides breadth on the subject to satisfy state expectations for adolescents. Students qualify for licensure as W&M requires practicum and student teaching field experiences. In the fifth year, students complete coursework at the master's level, which includes elementary, secondary English, secondary mathematics, secondary science, secondary social studies, English as a second language, and special education options. W&M values providing affordable education to motivated learners. Therefore, students qualify for multiple financial assistance opportunities that make W&M one of the cheapest colleges to attend. The W&M School of Education offers assistantship packages to full- and part-time graduate students that provide a $4,000 stipend, tuition payment, and an out-of-state tuition waiver. Why Attend an Out-of-State College? Out-of-state colleges may offer programs and concentrations that differ from in-state options. By exploring schools in other states, students may expand their academic possibilities. Doctoral candidates, in particular, may choose distant schools since most institutions generally offer fewer doctoral programs than undergraduate degrees. In this situation, the student’s preferred doctorate may only be available at an out-of-state school. Studying in new locations allows candidates to experience new places and cultures, and to broaden their world views; it also increases one’s employment chances. For instance, a student who lives in Tennessee but who studies in Illinois could build professional connections in both states. Schools often charge nonresident learners higher tuition than resident students; however, tuition varies among schools. One school’s nonresident tuition may prove lower than resident tuition for in-state schools. For this reason, students looking for cheap colleges with their program may find that the lowest tuition exists out of state. Candidates looking for cheap out-of-state colleges should consider reciprocity agreements or college policies that connect to their states. For instance, due to state proximity, a school in Kentucky may provide tuition breaks or in-state tuition for Ohio learners. Some schools may also participate in reciprocity agreements that include multiple states. These agreements may allow learners to pay in-state, rather than out-of-state, tuition when studying in a member state. By considering these details, learners can find the cheapest out-of-state tuition for their program.